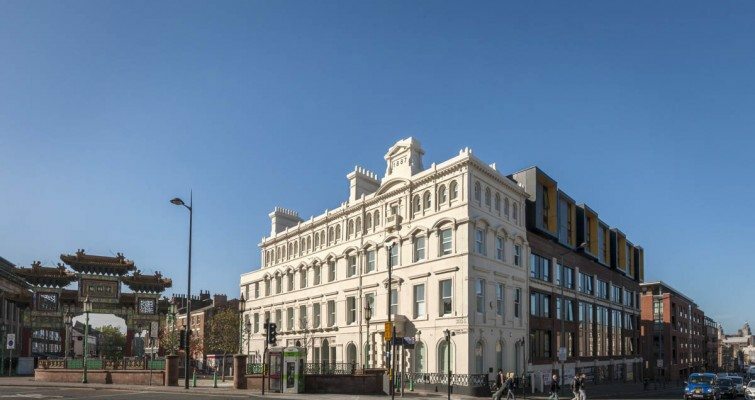 The Arch in Liverpool perfectly combines the old with the new. 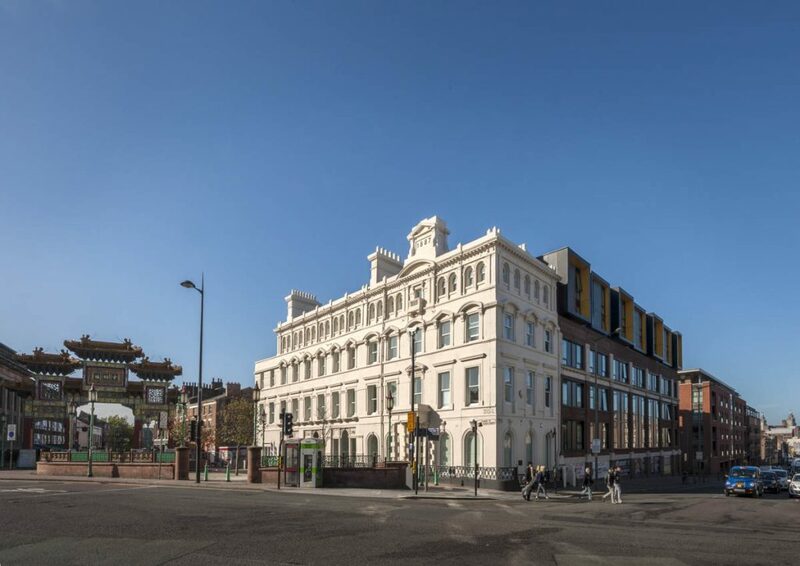 The stunning 19th Century façade houses our brand new, purpose built student accommodation. 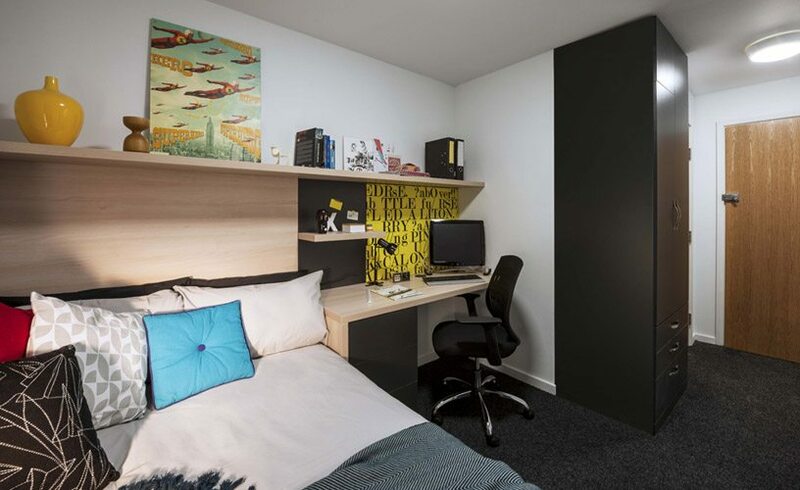 Student flats in Liverpool needn’t be uniform and The Arch proves this in spades. 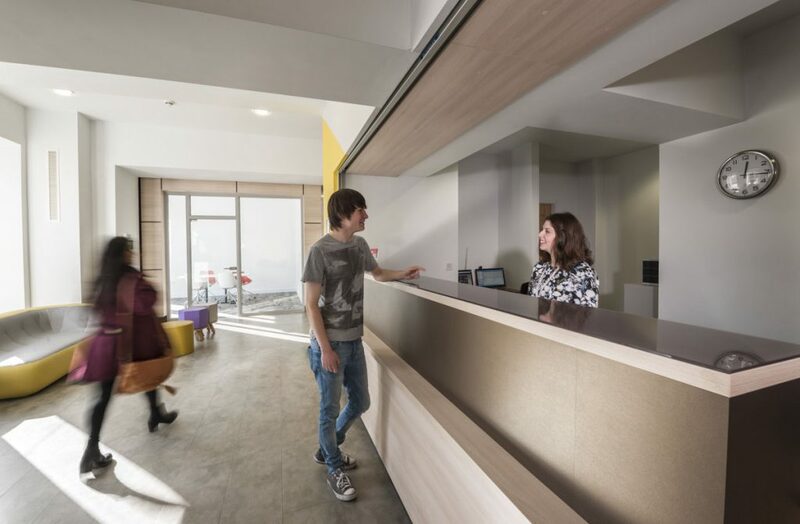 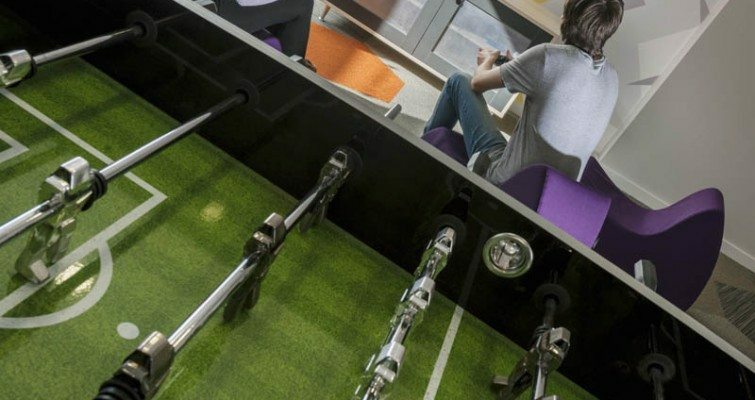 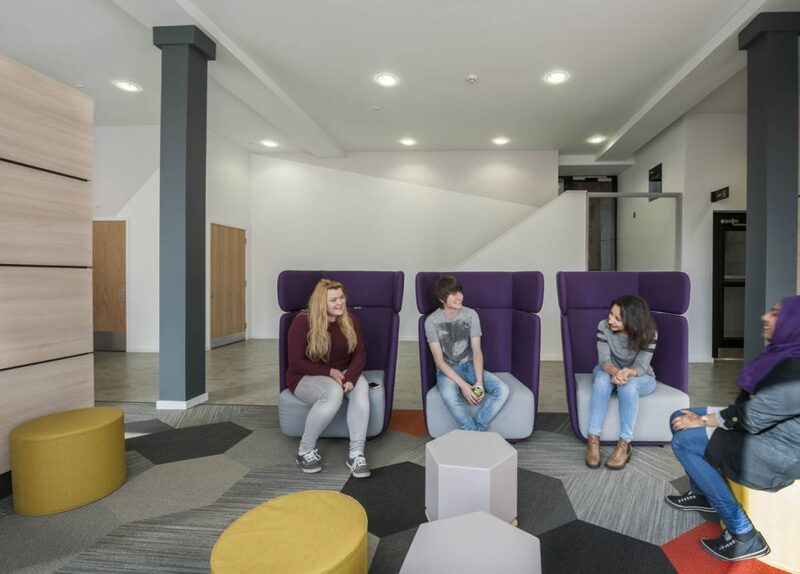 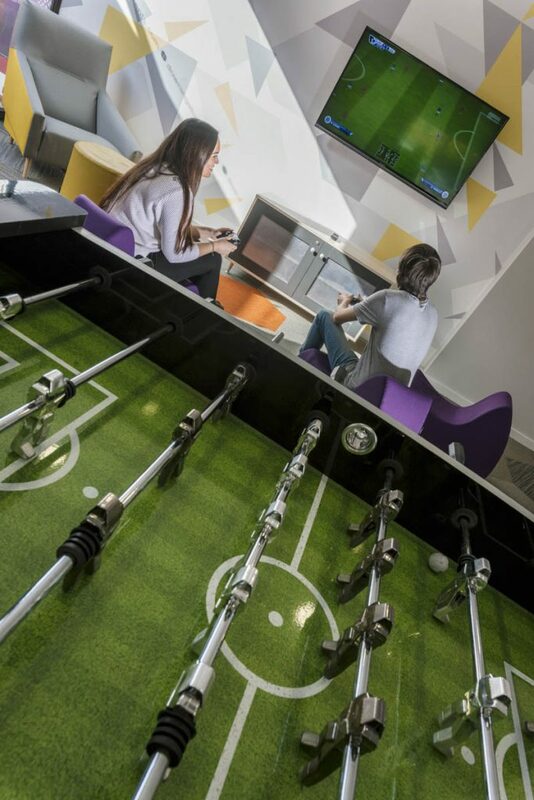 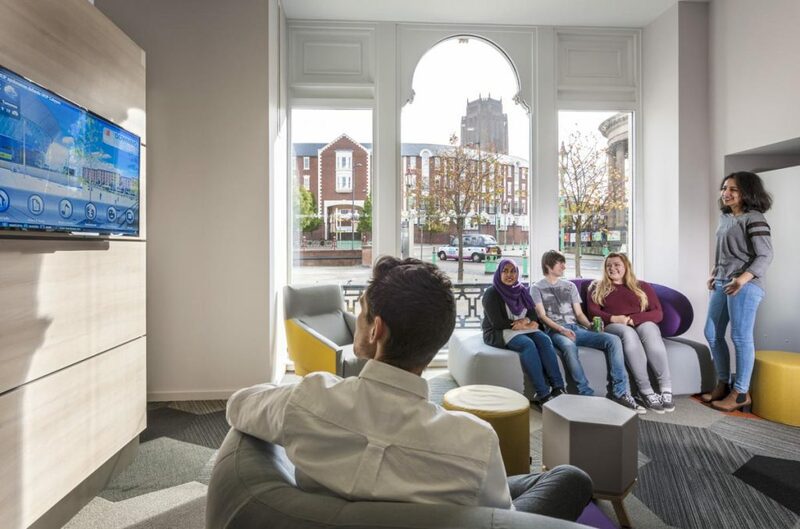 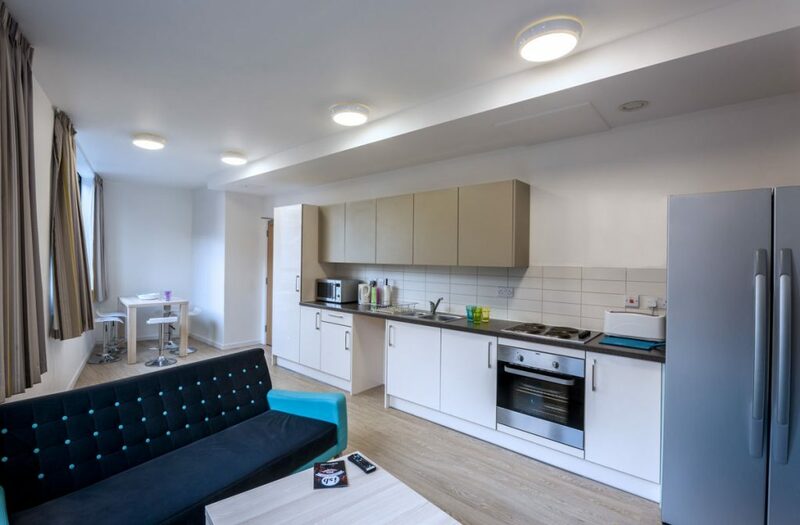 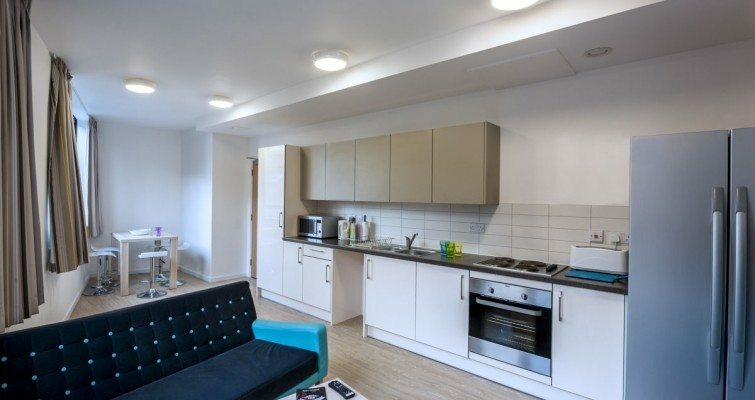 Inside Downing’s student housing in Liverpool you’ll find a combination of shared student flats from four to seven residents, as well as a number of studio apartments. 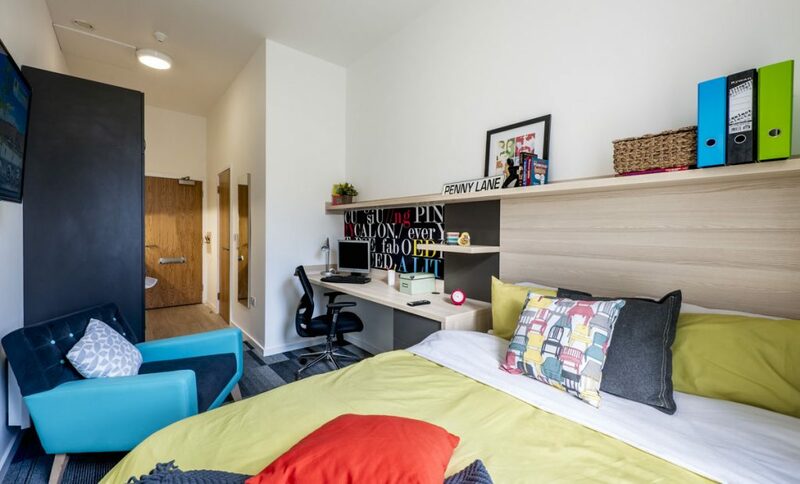 All student rooms and studios are en-suite, stylishly decorated with top of the range furnishings and are protected by a secure entry system. 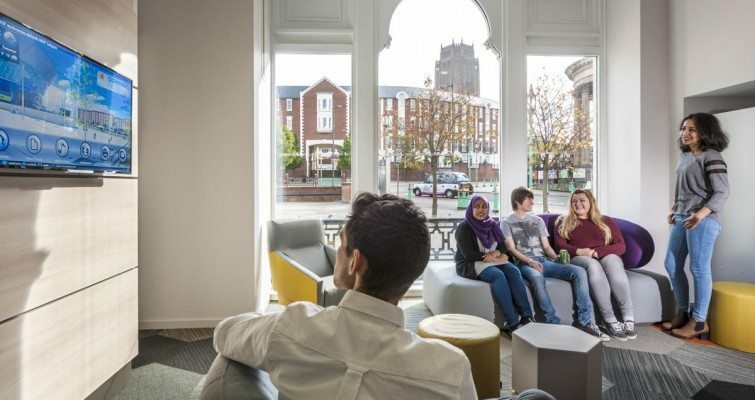 Becoming part of The Arch community is easy too. 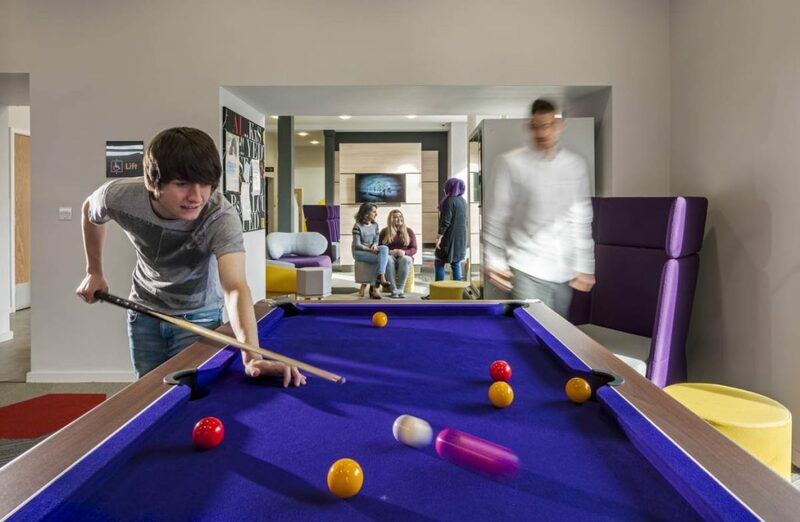 Catch up with friends in the property’s internal courtyard or enjoy the social scene in the lounge or games room. 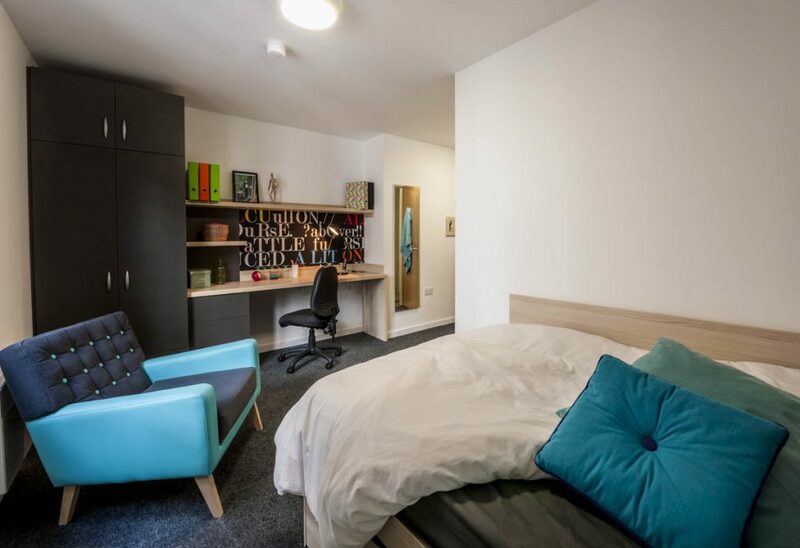 You can also take a look at how close we are to your university here. 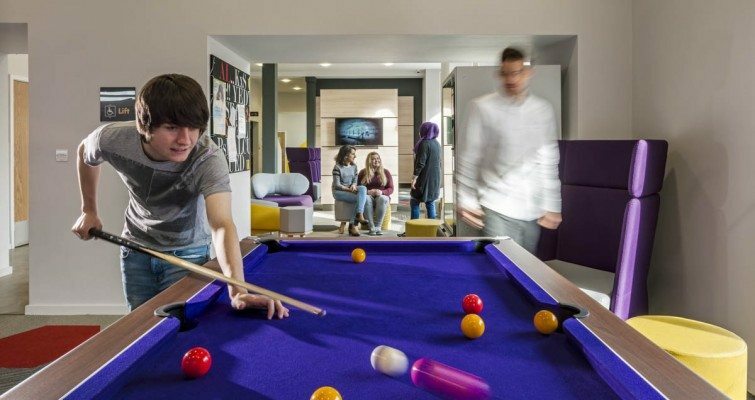 The Arch creates a new standard in Liverpool student flats, break the mould and book your next year’s accommodation with Downing today. 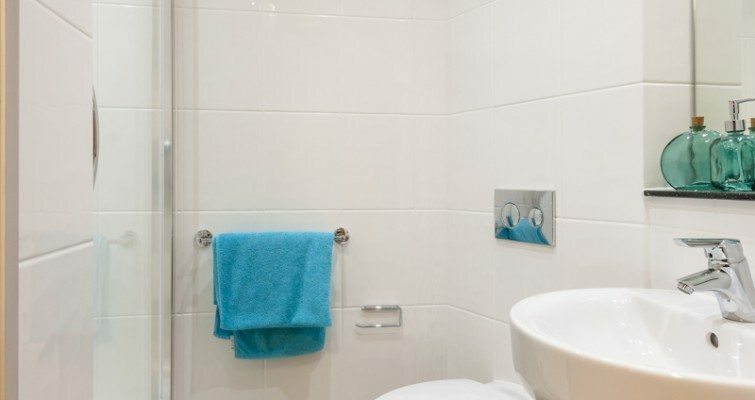 Please click here for contact details for or follow us on Facebook. 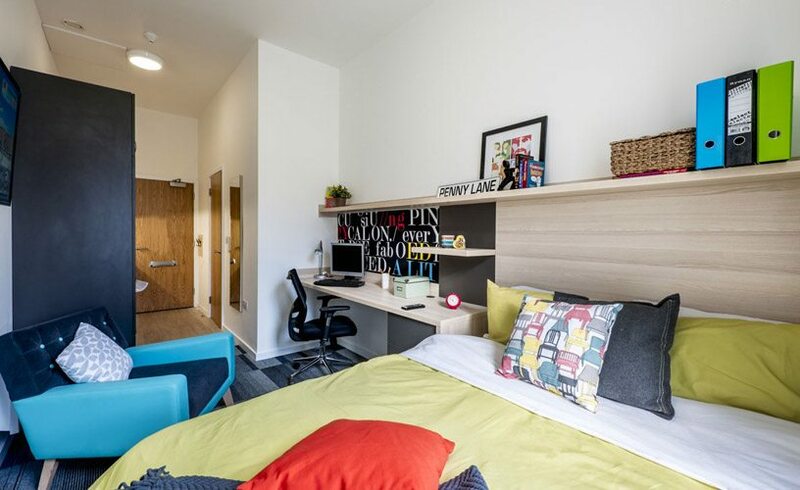 An en-suite studio apartment at The Arch offers modern, spacious student accommodation that has been designed with your needs in mind. 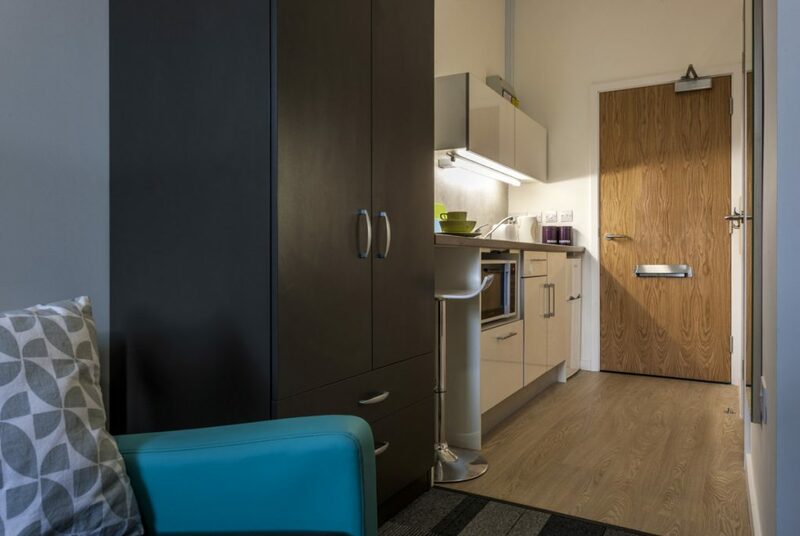 A studio gives you your own personal living space and includes a fitted kitchen and private en-suite bath or shower room. 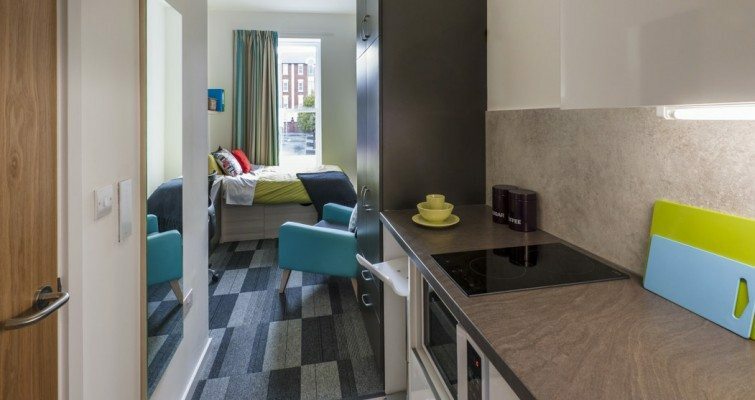 With just 37 studio apartments, The Arch has an exclusive feel. 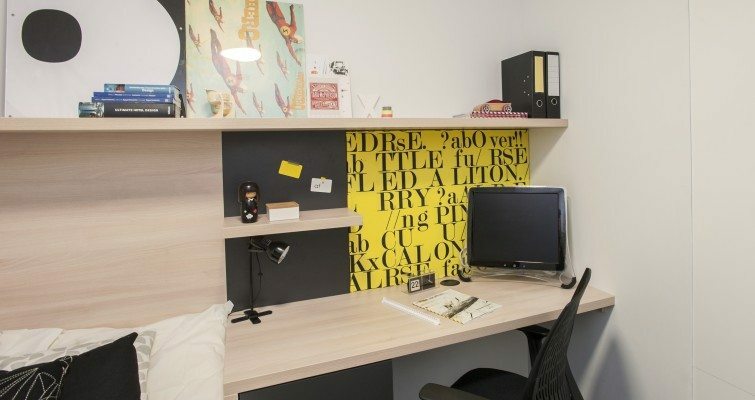 Silver Studio – Located along the buildings front façade the studios are modern and well equipped. 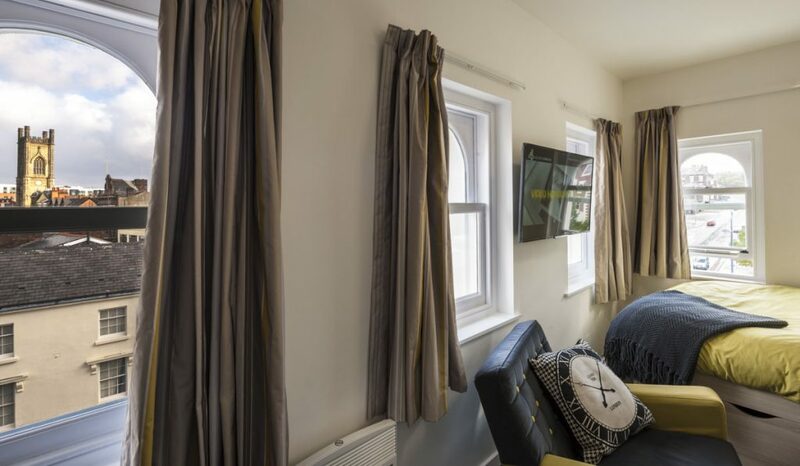 Gold Studio – Located along the buildings front façade featuring a number of original windows, the studio is light, spacious, modern and well equipped. 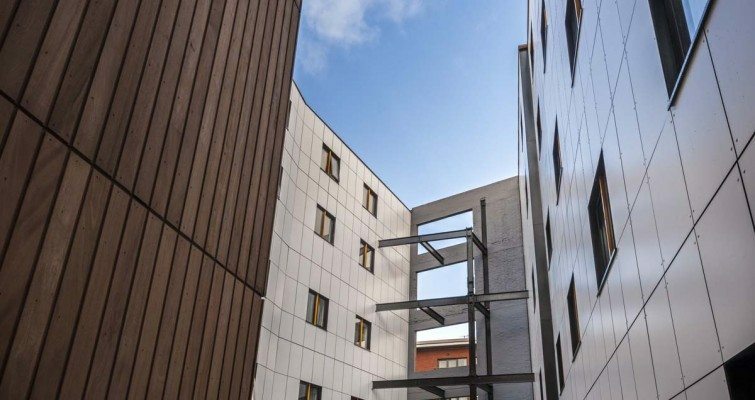 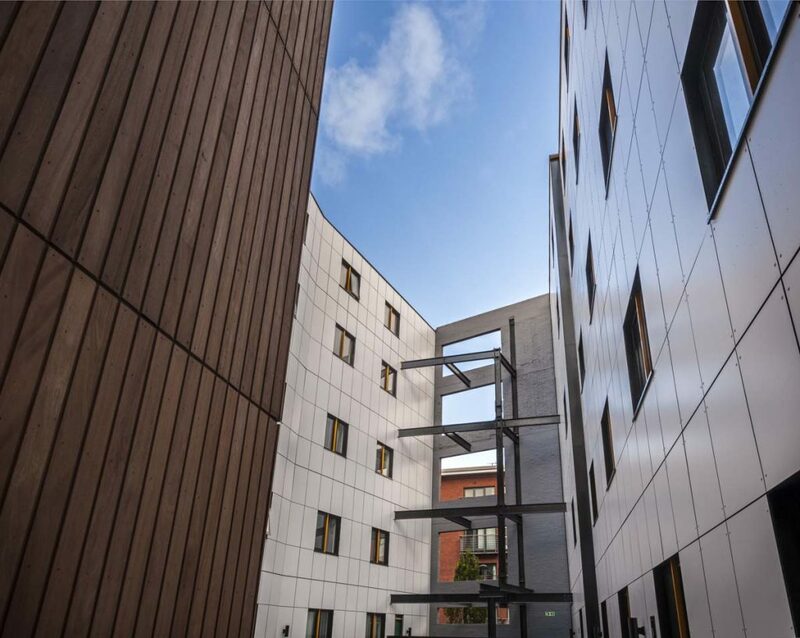 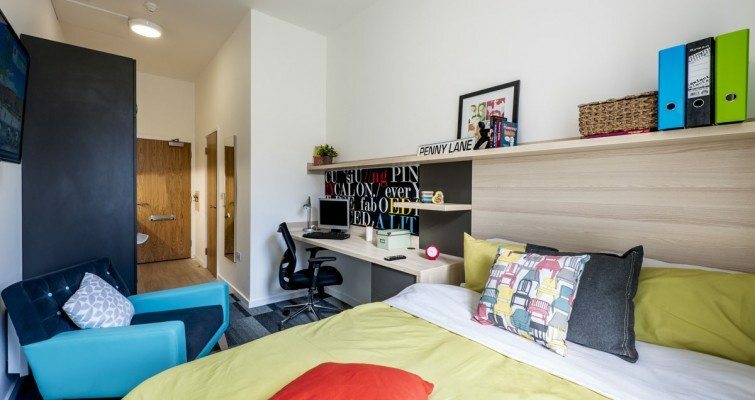 En-suite rooms in shared flats are dedicated to Liverpool John Moores University and Liverpool School of English. 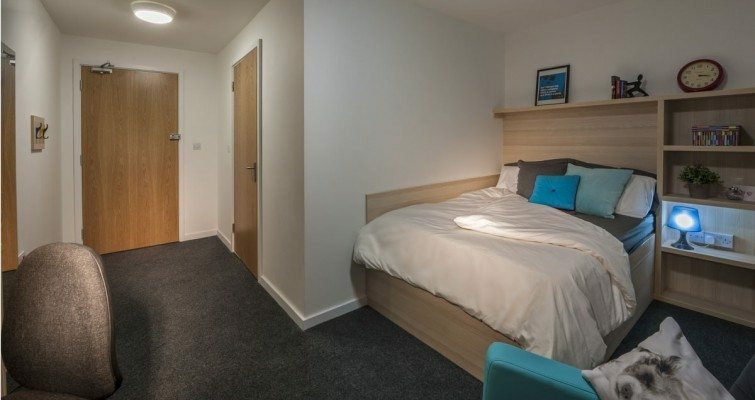 En-suite rooms in shared flats of 4 to 6 are dedicated to Liverpool John Moores University and Liverpool School of English. 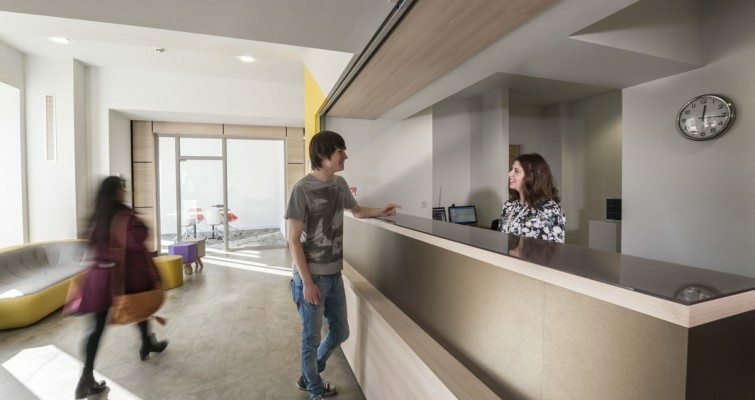 Please contact them directly to make a booking. 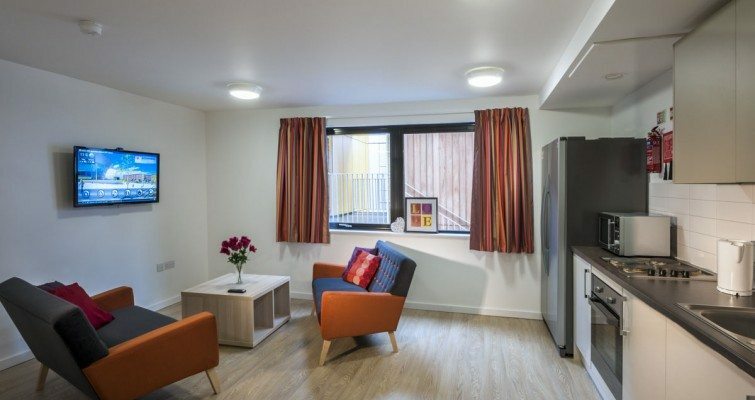 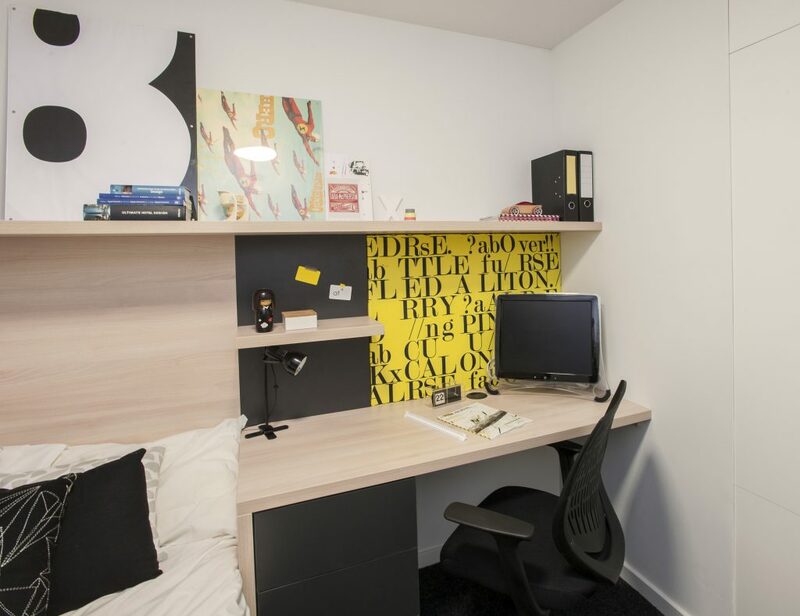 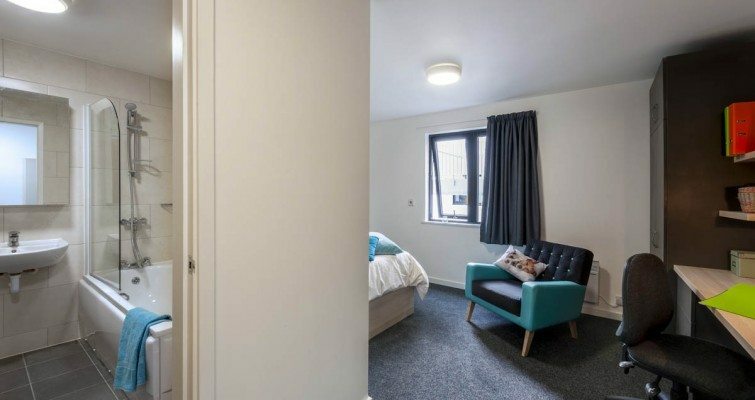 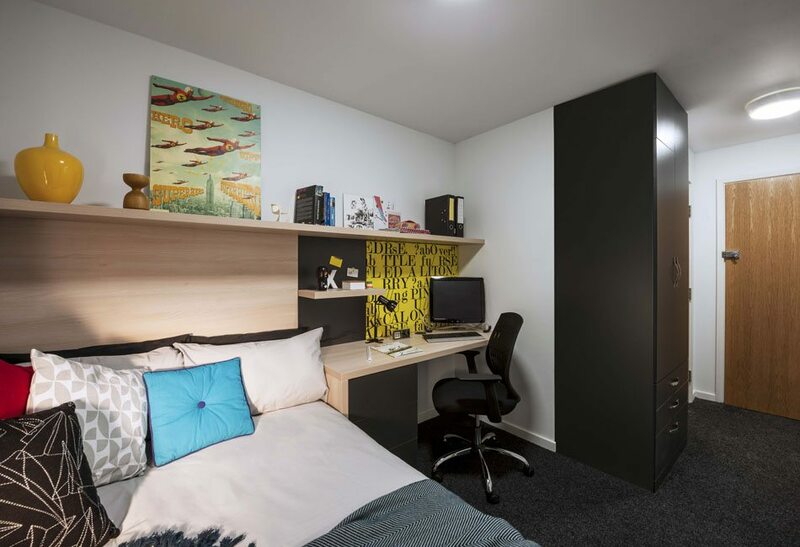 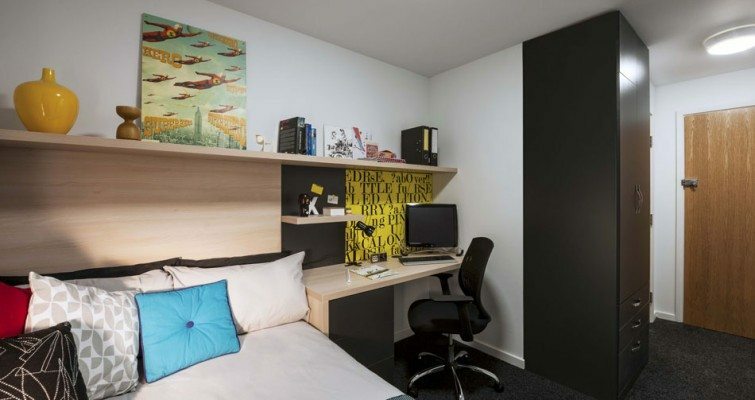 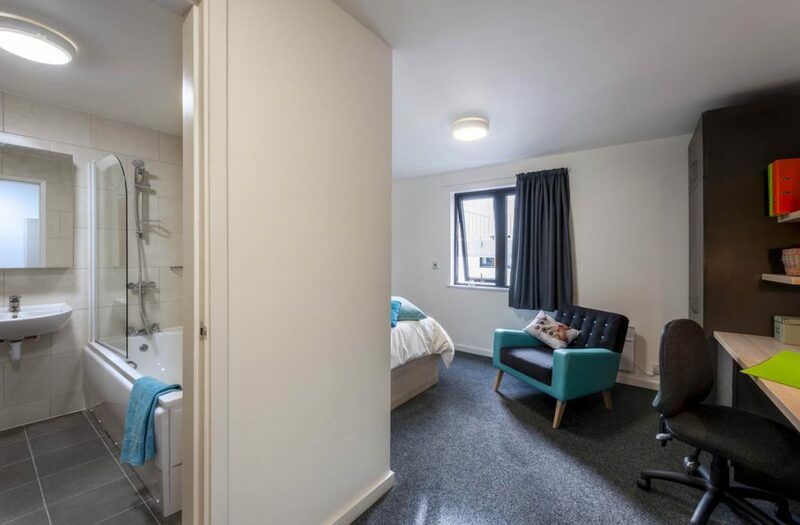 An en-suite room in one of The Arch’s shared flats lets you enjoy the company of other students, while still taking advantage of your own bedroom, study space and private en-suite bath or shower room. 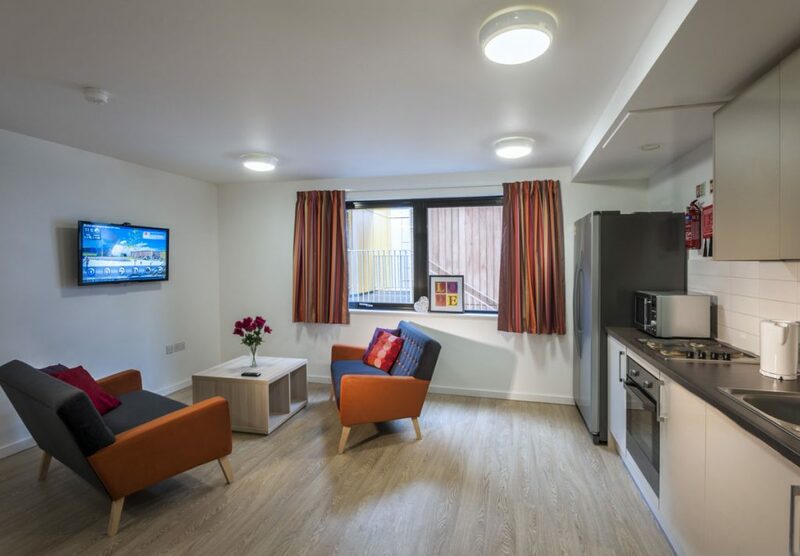 The Arch has 241 en-suite rooms in shared flats of four to seven residents, with bedrooms available in a variety of sizes including Standard, Premium and Deluxe. 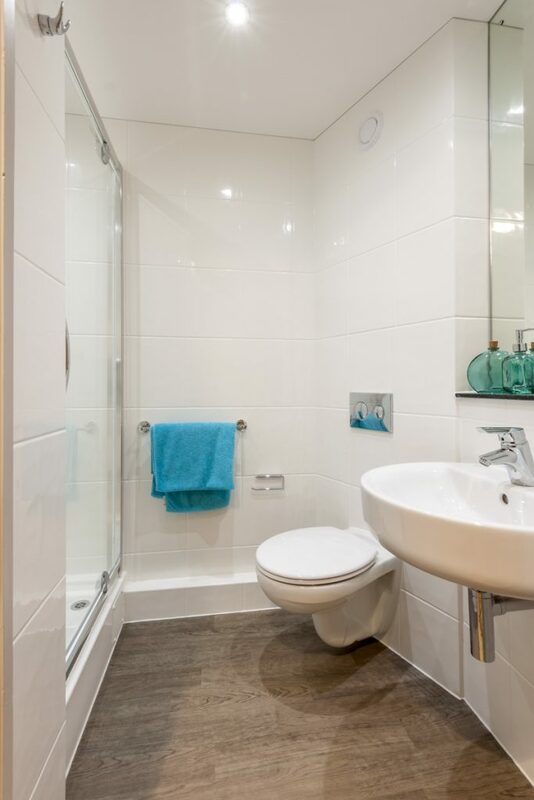 Standard En-suite – With an average floor plan of 14.9m2, it offers plenty of space. 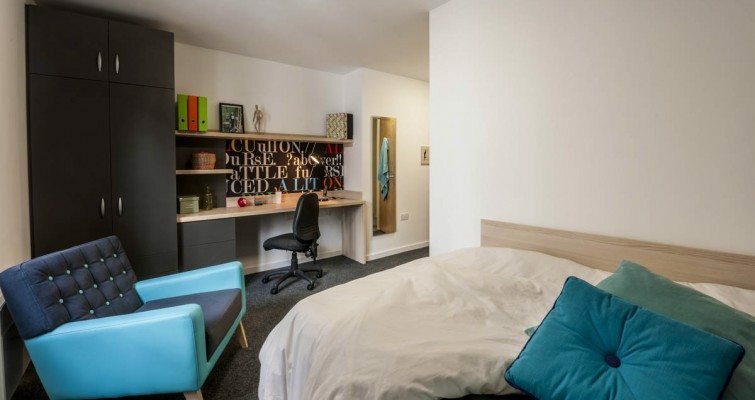 Premium En-suite – The bedroom, at an average 17.3m2 is situated in our six bedroom shared apartments. 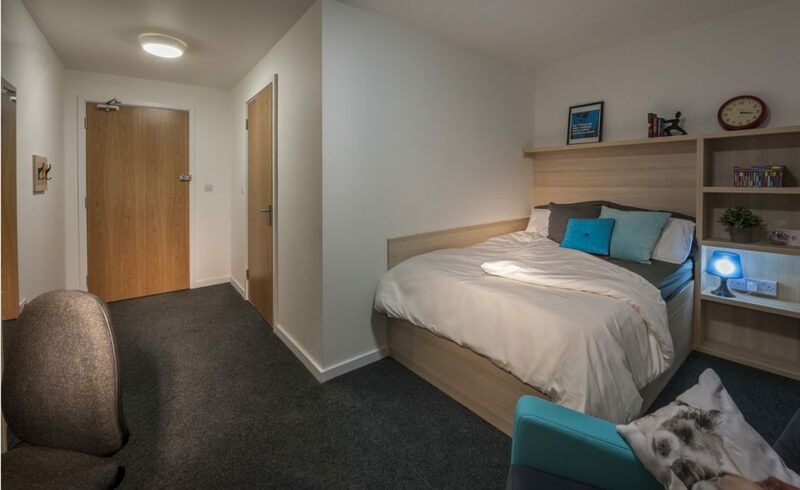 Deluxe En-suite – These bedrooms are exceptionally large at an average 23.4m2 and are found in shared apartments of 4-7 en-suite rooms. 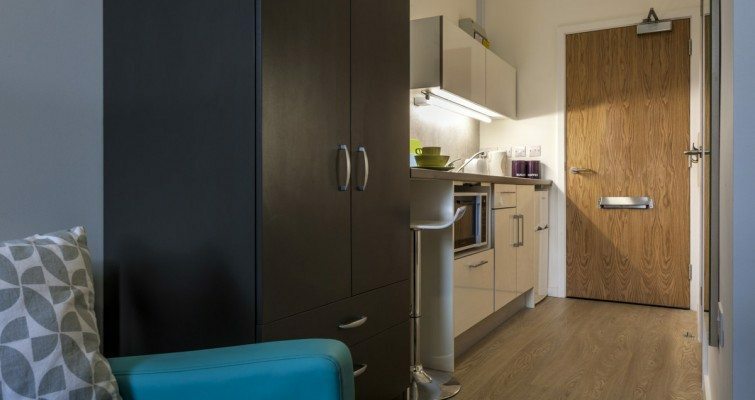 Tom describes how convenient living at The Arch is. 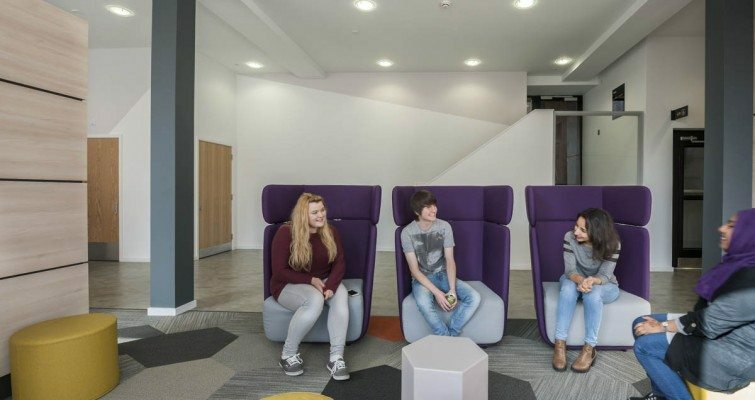 Corin tells us about the area surrounding The Arch. 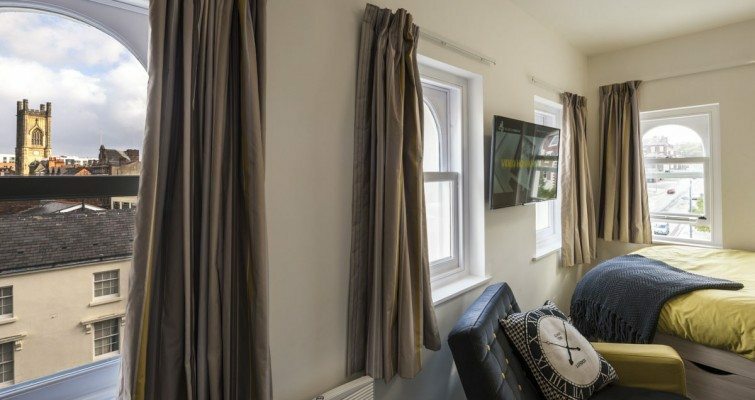 Stay at The Arch this summer!